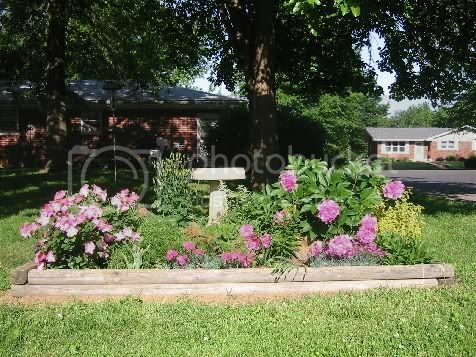 I'm looking for pink flowers to plant in Zone 4b. I've never planted flowers before, so I don't know what kind I need, but I'd like to have them bloom all summer. Is that possible for me? Firsttimer, I am also in SD. But I am pretty much in zone 3. Are you looking for annuals or perennials? Well I know that if you want spring and fall with a pink color you can do snapdragons, Hollyhocks also come in a variety of pinks and bloom during the summer. But they are biennial so they only do foliage the first year and then flower the second year and then die. So you need to plant two years in succession. After that they will reseed by them selves to keep their beds full of flowers. And of course there are subzero roses that come in pink which will definitely give you color all through the late spring to early fall. If you see a minirose shrub called "The Fairy", it blooms and blooms all summer. I deadhead it like a tea rose, and it reblooms until it freezes. Is hardy in our zone, haven't lost one yet! Just prune the dead & damaged wood out each spring. I cut it back each spring, or it goes crazy. I love the "Nearly Wild Rose" and it's in the lower left corner of the picture. I have several of these around my yard. Some other pink favorites of mine are the "Bright Eyes" Phlox; "Pink Flame" Phlox; "Fire Witch" Dianthus (center bottom of the picture); "Lady Baltimore" Hibiscus; "Copper King" Hibiscus; Primrose; and some of the pink hardy Geraniums.